One thing that holds many businesses back is their phone number. If you have a very specific area code, then there is a possibility that clients outside of this area may be less inclined to take the leap and get in touch with you. Alternative Communication Systems offer a very simple and cost-effective route around this – simply masking your telephone number with a different one. Whether you are looking to offer your clients a freephone option, or would like to target specific regions with virtual business numbers, our team in Oxfordshire can assist you with the setup of these. Not sure what the best option is for your business? Why not contact our friendly team in Oxfordshire and discuss the pros and cons of each solution. "Alternative Communications have always been extremely competitive with their pricing and prepared to go that extra mile, working for example evening and weekends to meet very tight deadlines. They provide a high quality service. I thoroughly recommend them"
Want to quickly expand your potential customer base? 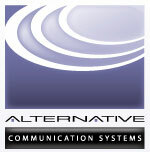 Invest in a non-geographic phone number from Oxfordshire's Alternative Communication Systems.